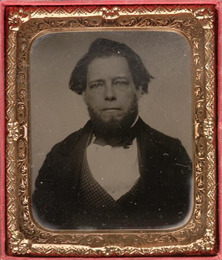 Lyman Copeland Draper's manuscript collection was bequeathed to the Wisconsin Historical Society. 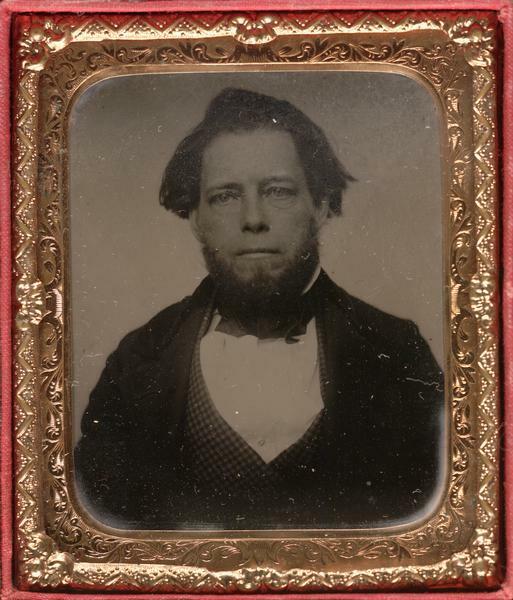 Draper (1815-1891) was a lifelong student of early American history. Although he was born and raised in upstate New York, Draper made it his life's work to rescue from oblivion the history of the "heroes of the Revolution" in the South. Draper was the first corresponding secretary for the State Historical Society of Wisconsin and lived much of his life in Madison. The collection as a whole covers primarily the period between the French and Indian War and the War of 1812 (ca. 1755-1815). The geographic concentration is on what Draper and his contemporaries called the "Trans-Allegheny West," which included the western Carolinas and Virginia, some portions of Georgia and Alabama, the entire Ohio River valley, and parts of the Mississippi River valley. Military records and information are pervasive throughout the Draper Manuscripts. Particular strengths include the Revolutionary War and the War of 1812, especially those actions which occurred in the West. The Guide to the collection specifically indexes Revolutionary War pension applicant information. Other strengths are Native American conflicts and westward explorations in which the military played a role, such as the Lewis and Clark Expedition. Only a small part of the collection consists of original documents of the Revolutionary period. The bulk of the files are Draper's research notes, correspondence and hand written reproductions made by Draper during his research trips. The collection as a whole is extremely varied and includes correspondence, interview notes, extracts from newspapers and other published sources, muster rolls, transcripts of official documents and much more. The collection was organized by Society staff into 491 volumes divided into 50 series of varying lengths arranged by geographic area, subject and individual. The original volumes of the manuscript collection are available for research in the Archives Research Room. The Archives are free and open to the public. See more information on Visiting the Library and Archives. "Guide to the Draper Manuscripts"
The entire collection was microfilmed in 1949 and re-filmed in the 1970s. More than ninety libraries across the country have complete sets of the microfilm, and many will send individual reels on interlibrary loan. See the many other libraries that have portions of the Draper Collection microfilm. Note: The calendars and documentaries are also available on microfilm.